Complete the mission...or face erasure. That’s all Neku knows after regaining consciousness in the middle of a busy intersection without his memories. Now he and his partner must fight to survive a life-or-death game in this twisted tale with more turns than the urban labyrinth of Tokyo they’re trapped in. This definitive version of SQUARE ENIX’s RPG classic brings the dark story to life on the Nintendo Switch system along with a new scenario and some new remixed music. If they did a Disney crossover like they did for Final Fantasy, would they name it "The World Ends With Pooh?" @ReaderRagfish They already added them to Kingdom Hearts Dream Drop Distance. Never played it, going in blind. Bit of a shame its 60. Not even a shame for me because I planned to get it anyways, but does this already niche game need to scare away any more buyers? Maybe it'll surpass the expectations I have set, but I doubt it. Part of why I loved this game was because it used some of the DS's features to create a unique experience. I'm curious how it plays on the switch. ...never played it but I will give it a shot. Best game to hit the DS. Will definitely buy again. I'll wait for a deep sale. Will buy Day 1. Loved the original DS release. Felt like a Boss being the only person in the shop that Saturday NOT buying GTA IV. Could not stop playing it for days. Glad to see you can play with controllers; not that I dislike the touch screen controls but when I played on my iPad, the repeated swiping created friction between my finger and screen probably due to drying and dirt build up making actions harder and less reliable. Should’ve bought a screen stylus. Of course now I think they are incompatible with iOS. Loved the game on DS. Not convinced that it'll be quite as suited to the Switch but still really looking forward to playing it again as it's been several years now. I've heard nothing but good things about this game. I'm extremely tempted to pick this one up. With that game now included, October has become the most expensive month for me. Really looking forward to this. I never played the original. Passed on it the first time, so here's a second chance. The gameplay and settings still on intrigue me, but I just couldn't pull that trigger. The good part is with a physical release, I can GameFly it to see once and for all if it's a game I want to see through to the end. Co-op mode sounds interesting, lack of full voice acting is a missed opportunity. Hopefully the new scenario is worth purchasing this game but I kinda doubt it justifies its current price. Perhaps if there are tons of new Noises to fight against, and more pins to choose from and maybe making Rhyme a fully playable character with her own unique moveset as a bonus (alongside with that new girl) could probably sway me to buy it immediately but for now I'll wait and see. I have to say, I wish this game also came out for the 3DS too. The dual screen combat is one of my favorite aspects of the DS original and I'm sad to see it won't be coming back. I'll buy the physical copy regardless of price. $60 is not asking too much imo. It's a great game! Probably my favourite game on the DS. The combat pretty much revolved around the dual screens and the touch screen though, so I'm not sure how well the game will play while docked. Hopefully they make the combat well suited for the Switch so newcomers to the game will get the full experience. I'm told this is one of the best RPG's my brother has ever played. I'm buying this physically, digitally, and any other way they want to sell it. The question now is, will the western release get the same limited edition that the Japanese gamers got? Don't miss out on this game, guys. 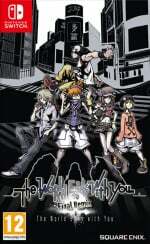 @ReaderRagfish "If they did a Disney crossover like they did for Final Fantasy, would they name it "The World Ends With Pooh?"" That's reserved for the Chinese release. Never played the original DS game, so I'm looking forward to this! Never got around to playing this on DS. Definitely will now on Switch though. Probably my favourite DS game ever. This is a day 1 purchase for me, a rarity considering I'm always skint. Digestives can wait for a few weeks. WHAT? Day before my b-day? Good Game, Squeenix, good game. We FINALLY have a release date? Pencils into calendar I've heard great things, and the fact that it's a shorter RPG sweetens the deal for me. SUCH a good game. Day 1. Although I am curious how it will play without that integral stylus. This games soundtrack is EPIC. How can it possibly be the same without the second screen? Who am I kidding, I'll get it anyway. No seriously, the pri—stop grabbing my wallet, hand! If they didn't add new content, I'd feel more upset about this version. That being said, I won't be buying at launch regardless, cash is tight when you're expanding your business. Between this and the $60 price tag on dktf they're really gouging the switch user base. If you dont mind paying that hefty price thats fine but dont go online defending it. There's nothing here to justify that increase. Should've been 40 tops. 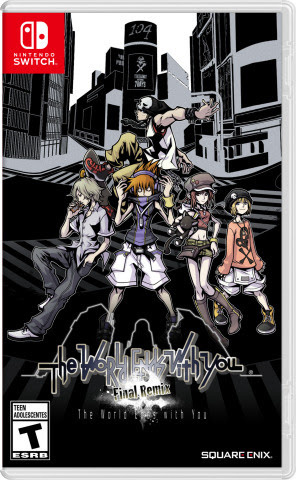 @Moonlessky I can sort of understand $60 for Tropical Freeze (I still think that's a bit high but it's not too outrageous), but TWEWY was originally a DS game, and those usually sold for $30 or less, so it does seem like a bit of a rip off in this case. @ieatdragonz It's 50 dollars not 60. It has all the content from the other versions and lots more added content and features.